Apple has experiences privacy concerns, raised regarding data it gets from Siri. The company has revealed that it keeps the voice data for up to two years and generates a random string of numbers to associate with it, instead of using your Apple ID, and any Siri data they collect from you goes under that number. However, those who feel uncomfortable with this can turn Siri off, and any identifiers, including the data itself, is deleted. 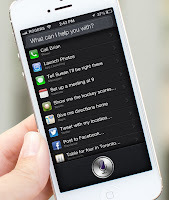 Despite the fact that the fact that Siri data is kept for two years, with protections in place, it should still be kept in mind that Siri and Apple are not unique in keeping your data. Anyway, it’s up to you to decide to trust your data to Apple or not, with a simple solution of turning your voice assistant off always available on your fingertips.